programming and strategic outreach. We are excited that their hard work is paying off and getting noticed. 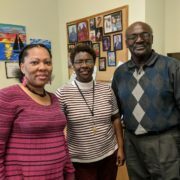 Members of the St. Stephen Magistrate Court, which shares a building with the St. Stephen Library, comment, “We see the impact that the library has on our community every day. Lately, the library has been bringing in teens by the droves, and often in the mornings, there are people waiting by the door for the library to open. 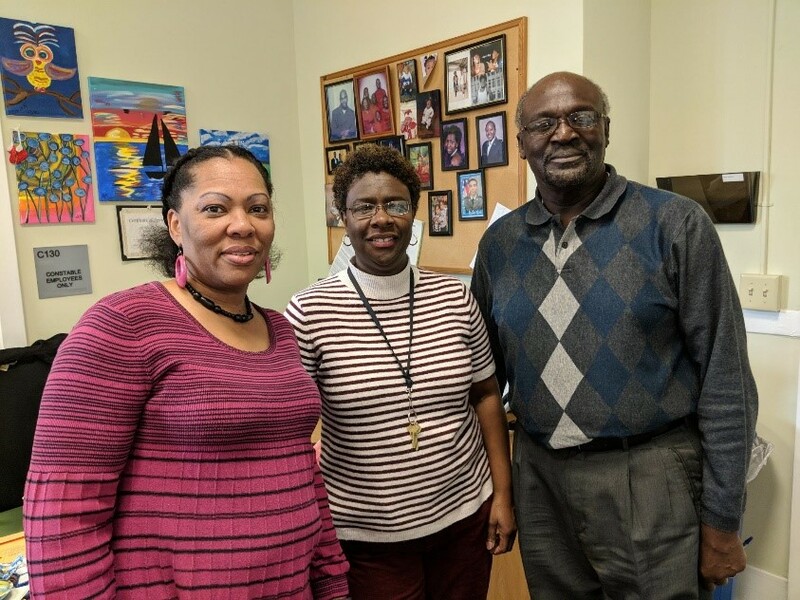 Judge Whaley (middle) says: Tina’s name is well known at St. Stephen Middle School because her niece often speaks of her and hears other kids speaking well of her. The St. Stephen Library has been offering fun and educational programs every week attracting dozens of loyal attendees who cannot stop raving about what is coming next. 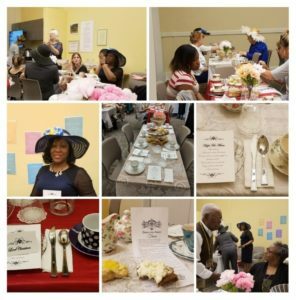 Last month the library hosted a “Downton Abbey Style” High Tea drawing over 25 ladies and 1 lord who were able to sample different teas and delicacies commonly found in British high tea and participated in a Downton Abbey game of trivia. One attendee remarked that she believed that this was the closest she would ever get to England. Mr. Hill from the Magistrate’s said that from now on, he wished to be addressed as “Lord Walter,” which is how his nameplate read. He took both the nameplate and the menu home and framed it. 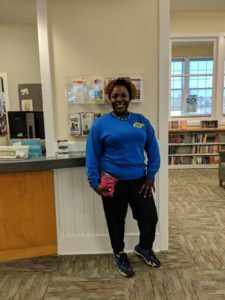 Library customer Katisha White is now coming into the library more for programs with her 12 yr old son.